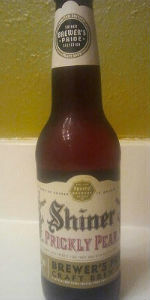 This beer was in the same Family Reunion pack as the Shiner Premium. This was my favorite beer in the pack, and I was shocked by that. I am not a huge fan of fruit beers, but this one was just a really easy to drink, great tasting beer. I will be looking for more of these.